Searching for the next big thing to do this weekend? Check out our list of kayaking, paddle-boarding, boating, and canoeing destinations! Florida’s largest urban park, BG Oleta River State Park, is located on Biscayne Bay in the busy Miami Metropolitan area. Only 15 minutes away from downtown Miami and 20 minutes away from downtown Fort Lauderdale. Although it offers a variety of recreational opportunities, the park is best known for miles of off-road bicycling trails, ranging from novice trails to challenging trails for experienced bicyclists and for its beautiful waterways. Along the Oleta River State Park, at the north end of the park, a large stand of beautiful mangrove forest preserves native South Florida plants and wildlife. Canoeists and kayakers can paddle the river to explore this amazing natural area. Swimming from a 1,200-foot sandy beach and saltwater fishing are also popular activities. Picnic tables and grills are available. Adventure Scuba Diving is now in it’s 21st year of operation in North Miami, Florida, the only “diving center & dive charter facility” in the North Miami/Miami Beach area. The new training and service dive center has gone through a complete renovation and expansion (3000 sq.ft. ), the facility and staff have made upgrades and adjustments to better suit diver’s needs as part of it’s growth in 2016. Their full service operation offers instruction and referrals both sport and technical, at virtually all levels, including nitrox and specialty courses through NAUI, PADI, and SDI/TDI trained staff. Full equipment sales, service, and rentals are all available. Using their custom 36’dive boat, divers have a choice of sites, depth and technical complexity offered to them at anytime, seven days a week. Reef, wreck, shallow, deep, night, drift or hunting, the diving action is here. Biscayne Bay Boat Rentals offers the most exciting boat tours! They go above and beyond to give you the best experience possible. It is their desire to give you access to the most memorable times, and they will take you to remote beaches where you can continue your celebrations in private before heading back out into the water. Other Miami boat rental companies are not willing or skilled enough to go to these lengths to ensure that your family has the best time possible. 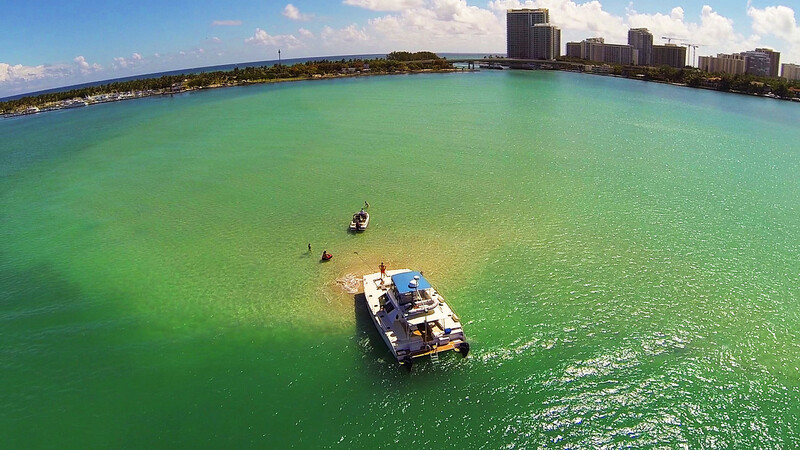 The people at Beach Boats offer one of the most unique experiences in the greater Miami area. They are a leader in the marine industry in Miami with extensive experience in each aspect of design, hydrodynamics, manufacturing and technology. This ensures that your boat rental experience will be anything from the ordinary. Included in your personalized experience is a highly trained staff that will cater to your every need. At Miami Party Boat Rentals, the variety of trips and destinations is endless: an easy afternoon ride to enjoy the scenery of small water canals, a fun boat party with family and friends at the famous Sand bar, a full day trip to an island for a barbecue, a romantic sunset tour, a breathtaking ride to South Beach, Downtown Miami or Fort Lauderdale…your imagination is the only limit! Currently, they offer for rent 24 Feet Bentley Pontoon boats, 66 Feet Majesty Yacht, 58 Feet Azimut Atlantis Yacht, Yamaha Jet Skis and Flyboard. Their fleet never stops growing and next time you visit, there might be new boats to rent in Miami. No matter which outdoor aquatic destination you decide to visit, Honda of Aventura can provide the means to get you there.